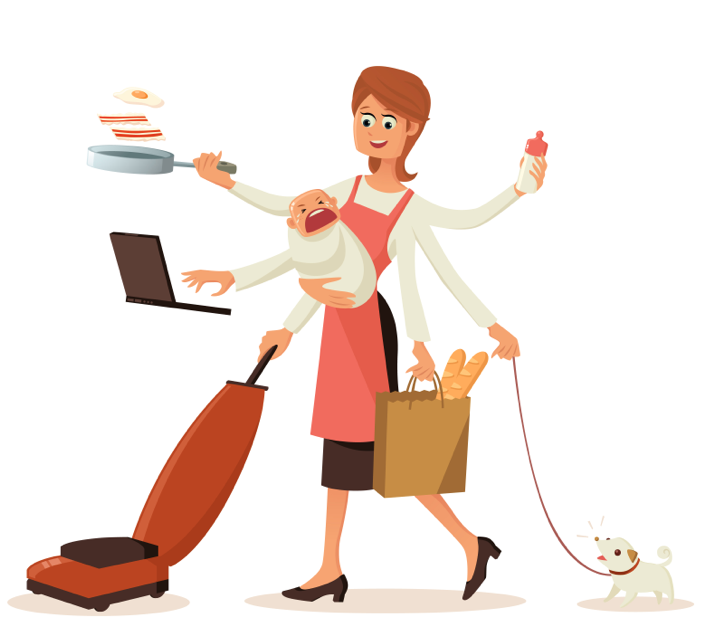 It’s no secret that working mothers have been participating in a never ending juggling act, and there are some who have mastered this process. These women are having their cake, and eating it too. If you want to know what they might be doing differently than you then here are five tips from Women’s Agenda to think about. Release the idea that accepting help from others makes you appear weak or like you cannot handle the responsibilities in your life. Let go of the stereotype that you as a woman have to be all things at all time. Allow your partner to take on more responsibility with your children. We no longer live in a world where only the man goes to work to provide for the family (though that is okay if that’s what works for you). If he is unavailable hire a babysitter or ask if your parents can assist. This is about prioritizing. Not everything has to be achieved. Rome was built in one day. Create two lists from your “To Do” list so you can clearly divide the two in your mind. One should be title “Must do this” while the other should be titled “Would like to do this”. Tasks that really are non-negotiable or help you feel your best fall into the first list. Anything that doesn’t fit with those two thing really can wait. You do not have to attend every dinner, party, fundraiser, or event you’re invited to. You can decline an invitation. Just say, “no.” Let a few things go here in there and free up some time in your schedule. This gives you opportunity to create some “me” time which leads us into number four. You have to look after yourself, and you are your own most important investment. Creating time for yourself gives you the opportunity to really focus on others when you’re with them because you are not feeling deprived. This makes your time with them higher quality. Remember quality over quantity. This phrase “having it all” is relative. It can mean or represent whatever you want it to mean. There is always going to benefits to your choices and there will be detriments. The acceptance of this and determining what is most important in your life is how you can be the most successful.